In the last week the dev team has been cranking away on issues for the Angry Artichoke milestone. The team is still working on the major initiatives described last week, and some really good progress has been made in all areas. 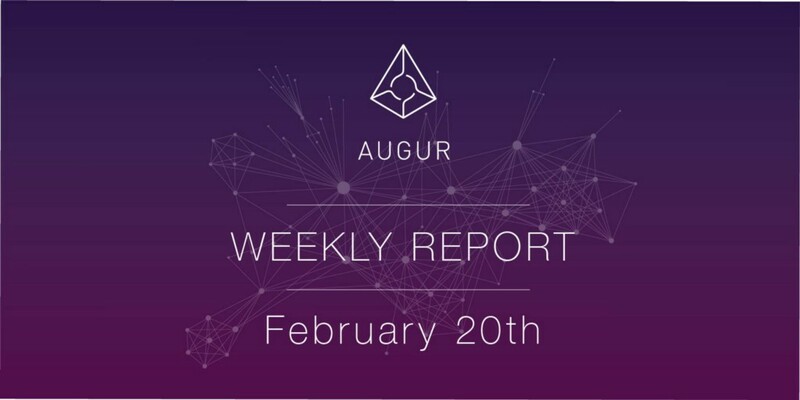 The current plans should give us solid footing on UI redesign tasks as well as finalizing major portions of Augur V2 development over the next few weeks. The design team has finished the new designs for the upcoming Account and Portfolio pages. The goal of these pages will be to communicate a users’ position, their current risk, and allow them to interact with important parts of the system in a consistent way. This work was immediately handed off to the UI Dev team for implementation. Beginning this week Design has started focusing on the reporting user-experience design. Over the next sprint they will continue working on reporting pages, as well as verifying current designs for mobile and making changes as needed. The UI team focused the first half of this sprint on finishing up tasks for the Trading page redesign. This includes some exciting items like brand new charts for profit and loss and price history. Work on the trading page has been almost fully completed, and most of the team has moved on to implementing new re-usable components that will be used to put together all redesigned pages.